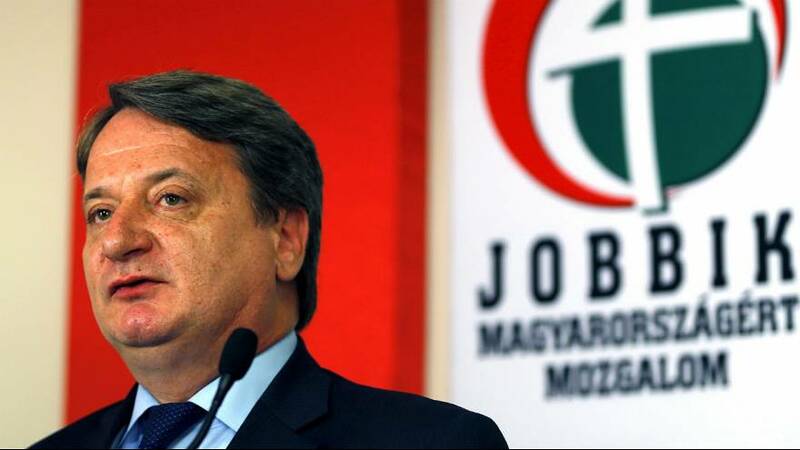 Who is Béla Kovács—the Hungarian MEP charged with spying on the EU? Béla Kovács of Hungary's nationalist opposition Jobbik party has been charged with spying on European Union institutions for a third country. Following the charges, which were issued on December 6, the country's Constitutional Protection Office (AH) requested that the European Parliament waiver the MEP's immunity. Hungarian journalist at indexSzabolcs Panyi told Euronews that Kovács was a "man without a past...a man with too many different pasts". Who is the politician whose own Jobbik contemporaries refer to as KGBéla? An index article revealed that, although raised by Hungarian foster parents, Kovács is the son of a Soviet Russian military officer, information that was kept secret for decades. In the same article, the author says he felt as if he were "part of a spy movie" as he uncovered layers of the politician's past, from his upbringing in Japan, where his parents worked as aides to Hungarian diplomats, to revelations from his adoptive father how his character changed when he learned of his biological roots. Unknown on the Hungarian political scene due to spending much of the 90s in Russia, Kovács bought his way into the far-right Jobbik party, becoming the authority on foreign policy. According to Panyi, Kovács donated "several thousands of euros" to the party, at one point "buying" a meeting with the party leader by means of an expensive car. His greatest political triumph? Turning the nationalist Jobbik party pro-Russian in a matter of years. Kovács was part of what Panyi called a "breakthrough" for the party: Being one of two MEPs elected to the European Parliament. In the final stretch of May 2014's EP-election campaign, Kovács was accused of spying on European Union institutions. The severe charges brought against the MEP include using forged private documents and stem from an investigation dating back to April of the same year when Hungarian authorities filed for his immunity to be lifted. Hungarian pro-government daily Magyar Nemzet (Hungarian Nation) said Kovács showed up on the Hungarian intelligence services' radar after monthly visits to Moscow and regular meetings with Russian diplomats in a "conspiratorial manner". Kovács himself denied the charges: "I was never a member of either Hungarian or any other foreign intelligence service, I have never worked with them and they have never approached me,” he said at a May 2014 press conference in Budapest. No date has been announced for a trial. Why wasn't he arrested immediately? "This is not a new story, this whole case could've been solved much faster but it is just not in the political interest of the government," said Panyi. Despite a secret investigation being carried out on Kovács, there was never a raid or any arrests made—he was never caught red-handed—which Panyi's sources inform him was so that the then-government could avoid conflict with Moscow and gain political leverage over Jobbik. Where does his money come from? According to index, Kovács previously claimed his fortune came from over a decade spent in Russia "working in the leadership of various trading companies". Using the Spark-Interfax system, a VSquare investigation searched local Russian company registries. "We searched for the name of Béla Kovács in all possible forms, in case it has been mistyped or translated to Cyrillic letters in a different way. We even searched for the name of Kovács's wife." None of their searches turned up a result either for the politician nor his wife. The VSquare investigation concluded that the origin of Kovács’ money, donated throughout the years to Jobbik, remains a mystery. Kovacs' Russian-Austrian dual citizen wife, Svetlana Istoshina, was also allegedly working for Russian counter-intelligence, claimed Magyar Nemzet. According to Panyi, she was married at least two, possibly three other times in the 1980s, to a Japanese nuclear scientist and an Austrian mobster. He said both marriages were "fake" to gain access to a specific passport, yet were legally binding, meaning at one point in the 90s she was married to three men. "Her name never came up in the case. We don't know if she attended any of the meetings with the Russians ... We don't know where she is, whether she was questioned or not," said Panyi. These are, however, details in a counter-intelligence investigation, so it is, to some extent, normal that they are not public, he added. "We know that they are still together," said Panyi, and "it's not a fake marriage like the other Austrian mobster or, perhaps, the Japanese scientist." How might the trial end? Kovács is charged with espionage, but also some other "minor" offences, like forging documents, for which Panyi thinks he will be found guilty. However, the journalist says it will be hard to prove outright that he is a spy due to the perceived lack of evidence against him and the amount of time that has elapsed since the 2014 leaks, leaving ample opportunity to dispose of any undiscovered evidence and cover his tracks. "The proper investigative job was not done," concludes Panyi, "the Hungarian counter-intelligence didn't have enough time to do their job properly before the story was leaked."